Sony 4K makes movies magical with the most captivating home theater experience imaginable. Go beyond watching and become part of the action with Sony 4K. 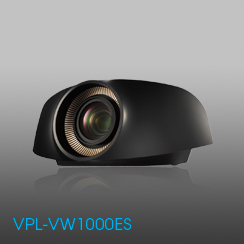 Picture resolution more than 4 times 1080p allows you to sit closer to the screen and get into your movies like never before. The incredible clarity and detail will make you feel like you’re right in the movie. Whether upgrading or building a new home theater, Sony 4K offers greater flexibility in seating, screen size and more. The superior quality and brightness of the Sony 4K picture allows for much larger screens than 1080p. You can also sit closer to the screen, which opens up more seating options. Sony gives you the 4K experience right now. With an exclusive HD-to-4K algorithm, the projector upscales 1080p to 4K—making all your current Blu-ray Disc™ movies and HD content look even more incredible. Sony is intimately involved in every step of 4K movie production and display. Sony leads the industry with 4K movie screens worldwide. Now, Sony brings that expertise and innovation to your home theater. What does Sony 4K mean for you? No one has the record of 4K leadership and innovation that Sony does. In just a few years, Sony 4K transformed the movie theater industry. 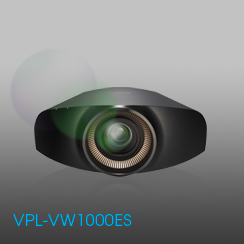 Now, it will transform your home theater experience. With Sony 4K the proof is in the picture. On the left, a 1080p image and a 4K image are compared as viewed from a close seating distance. 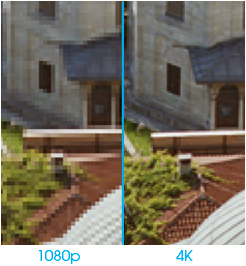 The difference is clear, or in the case of 1080p, not so clear. To see the Sony 4K difference for yourself, contact your Sony dealer.